Welcome to Gramercy Park (sometimes spelled Gramarcy park) located at East 20th Street between Third Avenue and Park Avenue South. A well defined piece of Apartments in Manhattan close to Union Square. 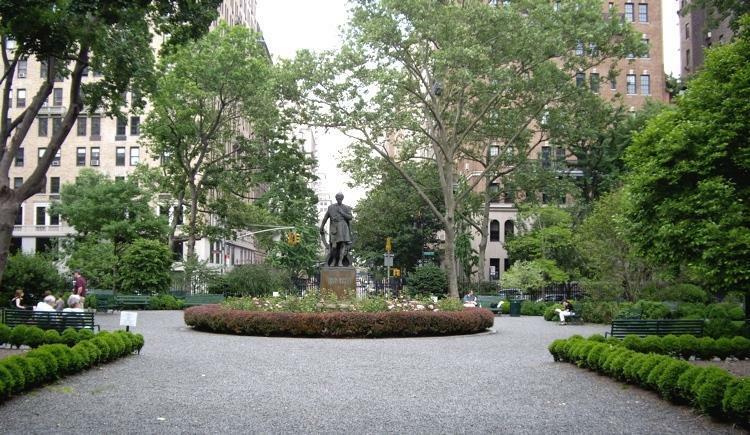 Gramercy Park is the last private park in New York City. Samuel Ruggles bought this land in 1831. The previous owner was one-time mayor James Duane. It was originally a swamp. But Ruggles saw potential and decided to drain the marshy site and, laid out 66 building lots around a central park. This pattern of development enabled Ruggles to sell lots on the premise that homeowners would have access to a private park. The first brick row houses were designed and built by A. J. Davis in the 1840s-50s during the heyday of brownstone construction, and occupied by important professionals and politicians. In the late 19th and 20th centuries the area has been home to performing and visual artists. You can buy access to the park and once a year the park is open to the public. 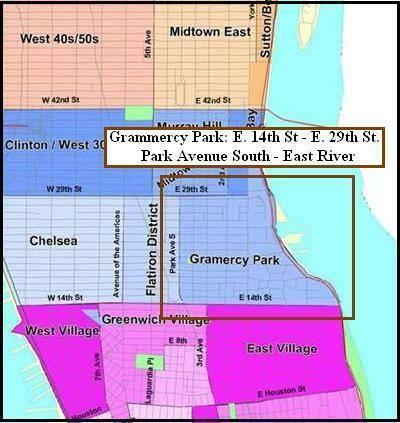 In the year 1966 this area was designated as a historic district. This is an extremely sought after location. 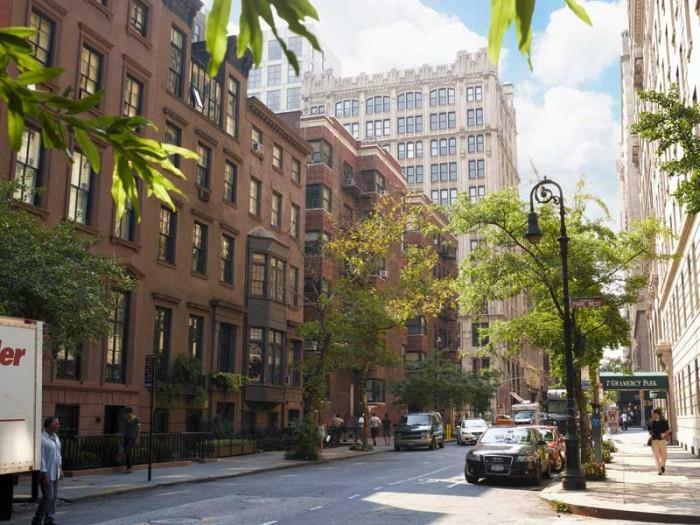 At 15 Gramercy Park you will find one of the largest Victorian mansions, The National Arts Club which has been there since 1870 with a few face lifts. The club was designed to bring artists and patrons alike together to discuss fine art. Not only is it a New York Landmark it is also a National Historic Site. Woodrow Wilson and Theodore Roosevelt where both members of this distinguished club. Robert Redford and Uma Thurman are just a few of the celebrities that have lived here. Another famous place in Gramercy Park is Pete's Tavern which opened it's doors in 1864 and has continued to draft a beer or two daily ever since. Many movies and television shows have been filmed there and word has it that O'Henry used to frequent the place often.